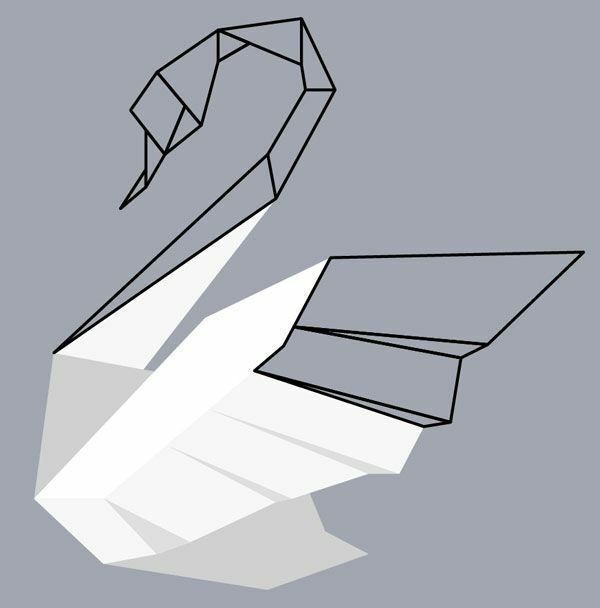 Creating an origami-inspired design is an easy feat when you know the technique. Follow the quick tutorial steps below to learn how to bend your digital paper to create a fantastic design. 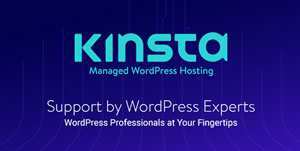 We’ll be using Adobe Illustrator, but you can adapt these techniques to other vector or vexel programs as needed. You’ll need a general idea for your design. Using a stock photo, trace the outline, or the contour, of your object with the Pen Tool (P) to create a basic composition of your design. Set the Fill Color to Null and Stroke Color to Black and 1pt Weight. 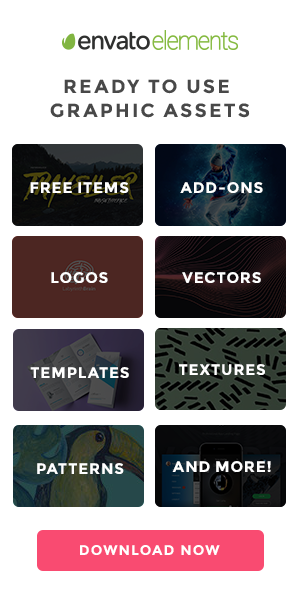 This will serve as a guide for the rest of your design. Group (Control-G) together your line work and lock the group in the Layers panel. TIP: It’s a good idea to use a picture as a background to create a basic form for your design (for example, an animal or object). Use the Rectangle Tool (M) to draw a large rectangle over your Artboard to create a background (the color chosen is entirely up to you). Since origami is a paper folding technique, we’re going to focus on the corners within the contour of the shape created in the previous step. 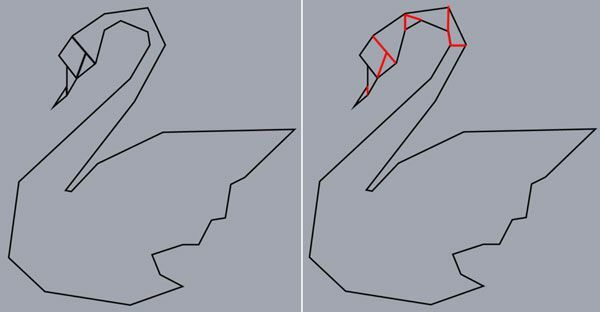 Use the Pen Tool to draw lines connecting these corners, giving the design a folded look (see below). 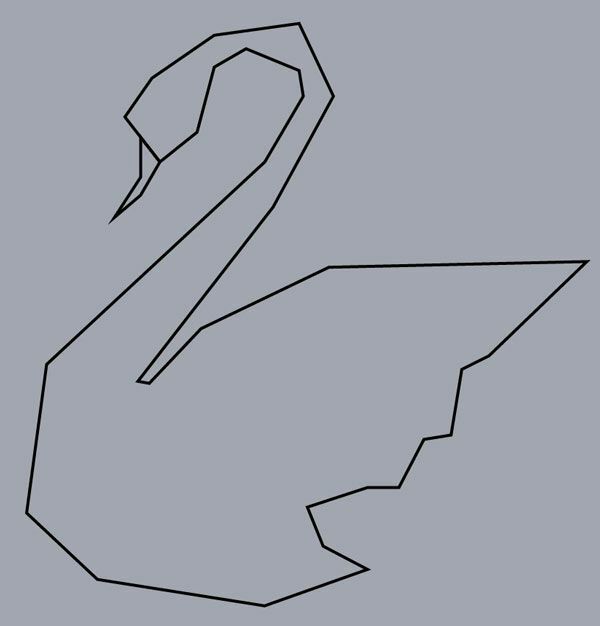 Starting with the head of the swan, in this case, draw lines that connect corners to corners. Some of them criss-cross or stop in the center of another line in order to look like folded paper. Continue drawing connecting, zig-zagging lines within the body of the outlined object. Don’t get too detailed in the lines you’re creating. You want to create the illusions of wings with a few zig-zags versus meticulously drawing lines to represent each feather. Also note how large each section is. Keep Your origami from looking crumpled by making sure sections aren’t too small. Paper can only fold down so much before losing a good, crisp shape. 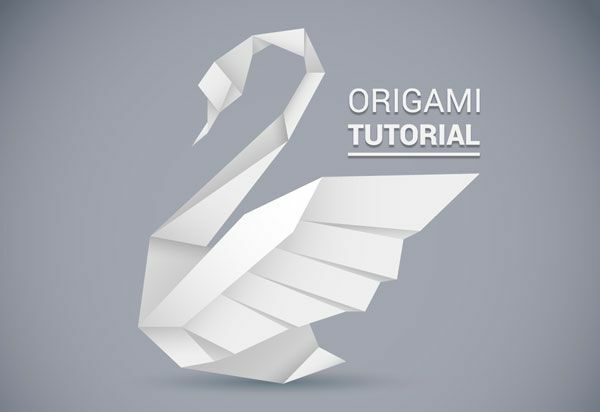 TIP: To create the shapes, it is necessary to think about the form of real origami paper. Think where the edge of the paper should be as well as how large the paper is (usually origami paper is square, measuring 6-8 inches in size). When you’re satisfied with your “fold lines”, Group them together and lock them in the Layers panel. Use the Pen Tool to trace over each “folded” section of your design. In this case, we used different shades of gray to differntiate between the foreground shapes and background shapes (or portions of paper tha toverlap each other). 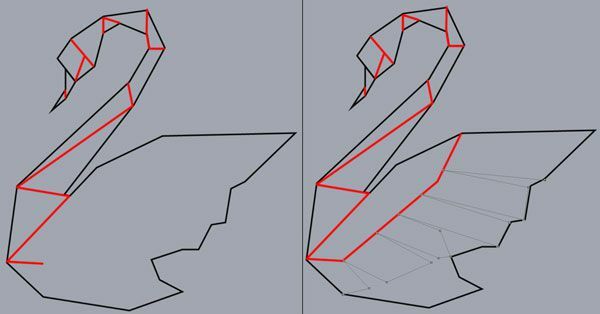 Continue tracing sections within your origami design until the whole design is complete and you’re ready to move on to the next step (see below for reference). This part is the most important; it makes our illustration realistic. 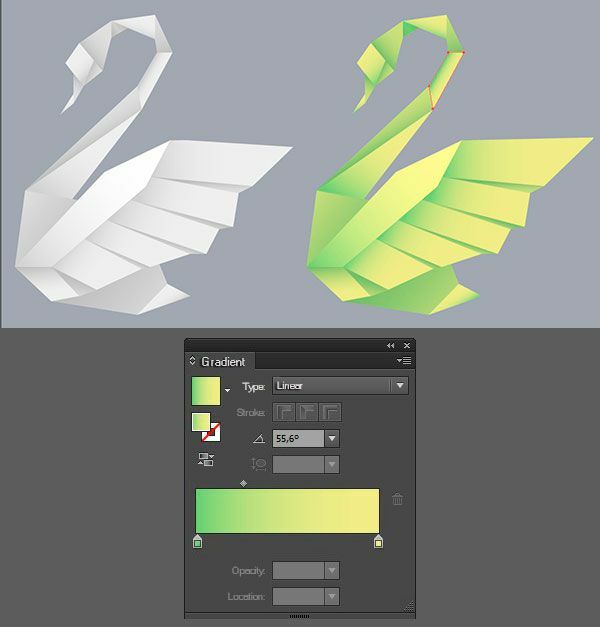 Apply Linear Gradients to the shapes you created in Step 3. Remember to pay attention to where the edges are (as defined in Step 2). The different shades of gray used in Step 3 should also give you an idea of where your shadows and highlights should fall within the origami design. 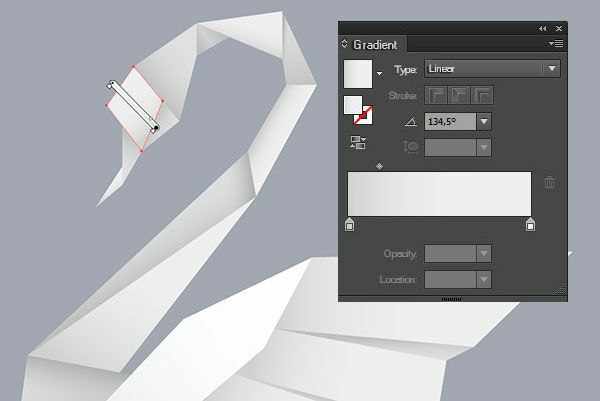 Use the Gradient Tool (G) to define the angles going from gray to white within the Linear Gradient. 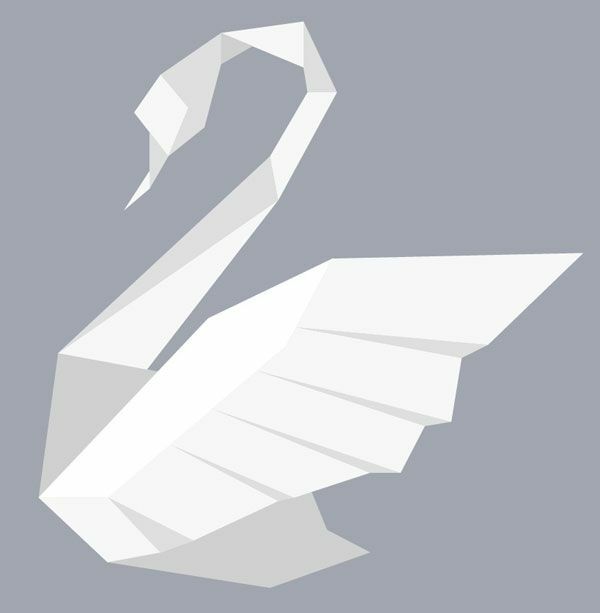 Tip: Add realism to your design by defining a lightsource and creating extra shadow shapes to give your swan (or other object) depth and weight. 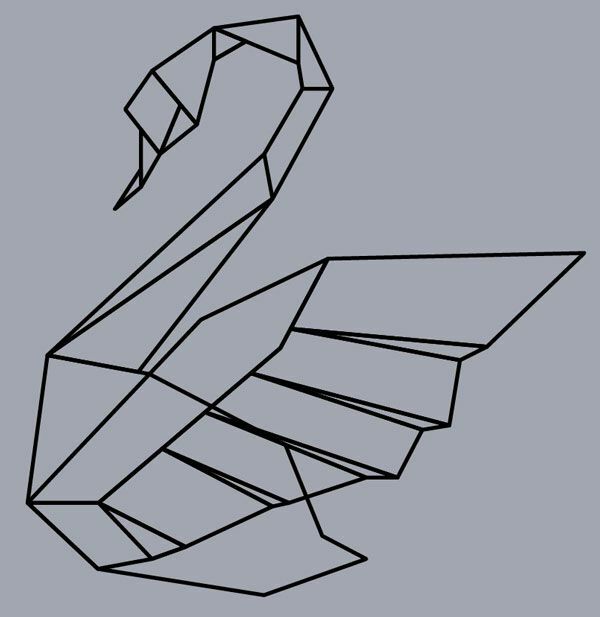 White and gray were chosen in this design because it looks more like real paper (and because many non-paper swans are predominantly white). The following shades of gray were used within the design below (though any range of dark to light hues will work wonderfully): #efefef, #d0d0d0 and #bfbfbf. The angle of the gradient depends on where the fold is. In the case of the origami design in this tutorial, the (imaginary) light source is in the upper left of the picture plane. Keep lighter colors within the gradient toward that light source and darker colors along folds, within “background shapes” (those that were defined as such during Step 3, and near the right (see below for reference). Alternatively, you can swap out white and gray for differing hues like green and yellow. so long as you have one lighter color and one darker color, the technique is the same. This part is optional but the result is great. Sometimes we need an extra shadow within the design to make the illustration more realistic. If you need it, you can create a new shape (with the Pen Tool) with a Linear Gradient that goes from Black at 100% to 0% Opacity. 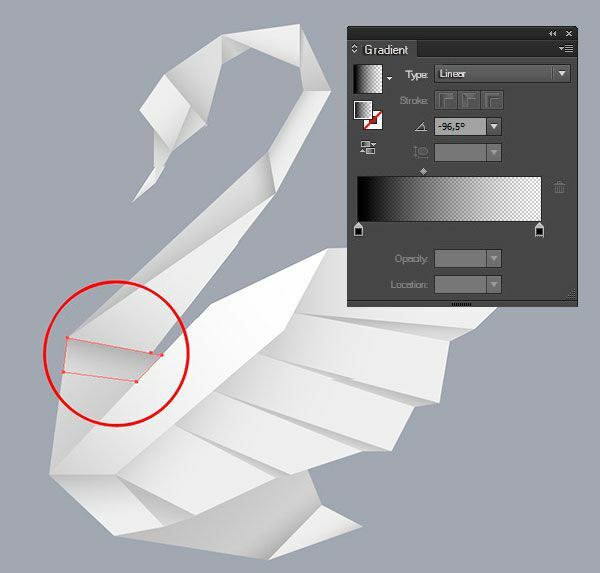 Lower the overall Opacity of the shape in the Transparency panel as needed and make sure the gradient doesn’t meet the edge of the shape or else it’ll look like another fold was added to the paper. 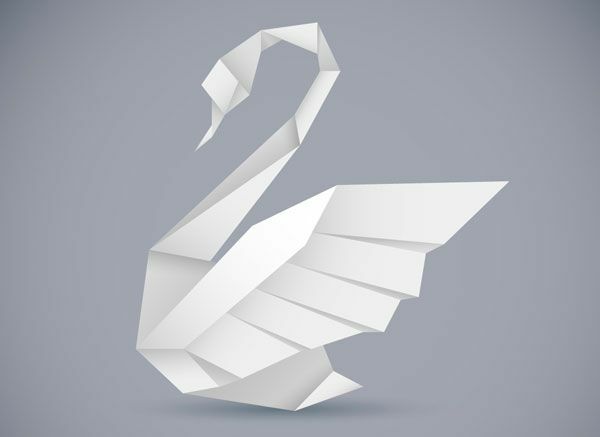 Anyone can create an illustration with an origami style. That’s the reason why you need to differentiate yours from everyday ideas. Create a background or use different colours or animals; whatever you want to make your illustration unique.